But for consumers to move to clean energy it takes more than efficient, affordable products. A joint IFC and World Bank program, lighting Africa has launched an education campaign targeting businesses and 9 million people living in rural parts of Kenya to help them change to solar lighting from their fuel-based lighting. The education campaign is one of many initiatives being run by Lighting Africa, which is helping build a market for off-grid lighting products in Africa and help millions. 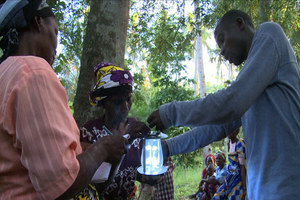 To help convince rural Kenyans to ditch their fuel-based lamps, the campaign is teaching how modern lighting can improve their health, at the same time increase their savings and provide them with better illumination in their businesses, schools and homes. The main argument for people to switch from kerosene lamps to off-grid light is an improvement in their children’s health and education: portable lights emit no fumes, and provide better illumination for studying plus longer productive hours for businesses is also a winning argument. Knowledge is required among consumers as a transition has to be brought about from kerosene to cleaner, safer off-grid lighting system of how these products operate, where they can be found and their benefits and costs. Extensive consumer education campaigns have been undertaken, a hundred road shows have been staged, product discussion forums are led and campaigns are conducted over the radio to build consumer awareness all across the country. The advantage of quality-verified, clean lighting products over polluting kerosene lamps is the common message that has been highlighted. A wider audience has been reached by tapping into mass media. Lighting Kenya 2 set out addressing these issues of not being able to reach rural dwellers thus partnering with financial institutions involving microfinance institutions, promoting schemes like the PAYGO model, and involving the youth and women as last-mile distributors. 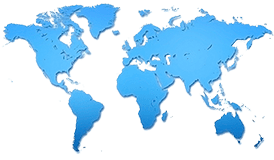 Romny Engineering was established in 2013 as an importer and distributor of LED lighting products directly to Kenya wholesale as well as retail market. They have grown to become one of the biggest LED companies in Kenya. They directly import their products which ensures their ability to supply good quality products at a fair price to the customers their store is now known as Daylight Lighting. Daylight Lighting has branches both in Nairobi as well as Mombasa. LED technology is advancing rapidly this has opened the door to many new exciting LED Lighting opportunities. LED lights are recognized to be very energy efficient and hence play an increasingly important role to help with our responsibility towards the environment they are environmentally preferred products. LED's are RoHS compliant, and contains no mercury, Lead, or any other hazardous materials. They neither emit UV nor IR radiation.